Our Clachan Restaurant faces out from the front of the building with views across to Struan Point and doors out to our beer garden. This area mainly seats tables of two, three and four and offers an intimate, yet informal atmosphere. Breakfast is also served here. 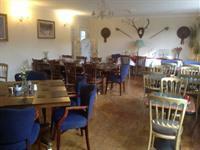 The Errochty Restaurant is the larger of our two dining areas and is ideal for both small and large groups. Our large function tables can seat from 5 up to 16 in one group. For parties and functions, the Errochty Restaurant can seat up to 40. On warmer days, the Beer Garden at the front of the Inn is an ideal place to enjoy a drink or meal. 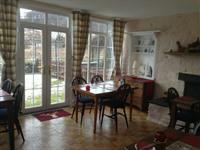 We have a covered area which is popular with dog owners. As part of the garden is enclosed, it is safe for children too. 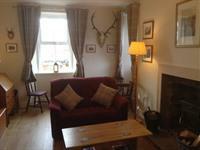 We have renovated part of the ground floor to form the new Deerstalker's Lounge. An old original fireplace was discovered during the building work which has been opened up again and a wood burning stove installed. The new lounge provides extra space for guests to relax with a drink before dinner or for residents to unwind after a long day travelling. There is a selection of seating, desk for laptop users and large TV, along with games for children and a small selection of DVDs which can be borrowed for viewing in bedrooms. With views out to Struan Point, the new lounge is popular with both residents and non-residents alike. 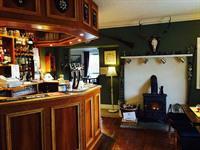 The Bar is a cosy but inviting area in which guests can relax and enjoy a drink. On colder evenings we light the wood-burning stove which adds to the atmosphere. Choose from our extensive selection of malt whiskies, including local 'drams' such as Dalwhinnie and Edradour. We also have a choice of wine, draft Errochty Lager and Belhaven Best (beer), other spirits and soft drinks. 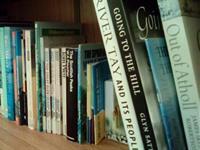 We have an extensive collection of Scottish interest books from which residents can borrow during their stay. Take a wonder along the corridor from the Deerstalker's Lounge and you will see the bookshelves facing you. We kindly ask that any books borrowed are returned before check-out as some are quite rare. 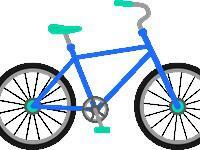 We have a cycle store at the rear of the building which can accommodate up to three bicycles. If more storage is required, we recommend letting us know on booking so that we can make space in one of our outbuildings. As we cater for shooting parties, we also offer secure gun storage. Please ask for details when booking.